Shivlal Kataria a Farmer from Madhya Pradesh was shocked when he saw Rs. 13 credited to his name that was supposed to be Rs. 24,000, he was going to get the money from a loan that is for the benefits of farmers in the local area. 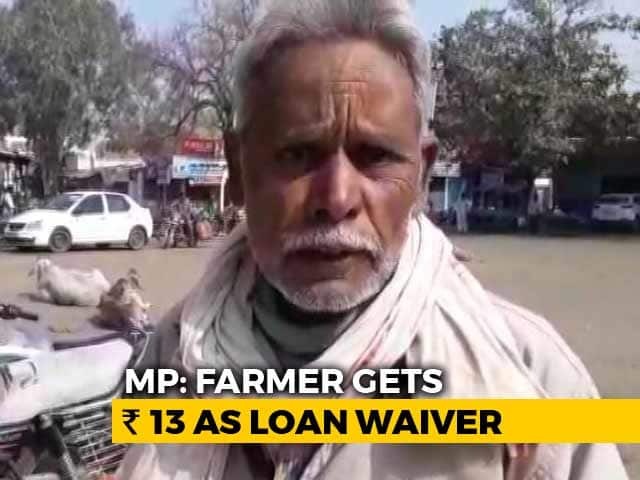 Shivlal Kataria is a resident of a village called Nipania Baijnath in the Agar Malwa District, this is located 120km north from indore, he was excited when he heard that his loan has been passed by the government. The government issued a statement that said, flaws are common when there are a lot of loans being distributed. Congress leader Kamal Nath kept his promise and started to distribute the loans process applications on January 15. The last date for the loan waiver applicants are in between February 5 and February 22. This scheme by the government is said to benefit around 55 lakh farmers.